Part II of the actual 1986 Beneteau F235 Scantlings sent from Beneteau France. Below are dedicated to the FIN KEEL. 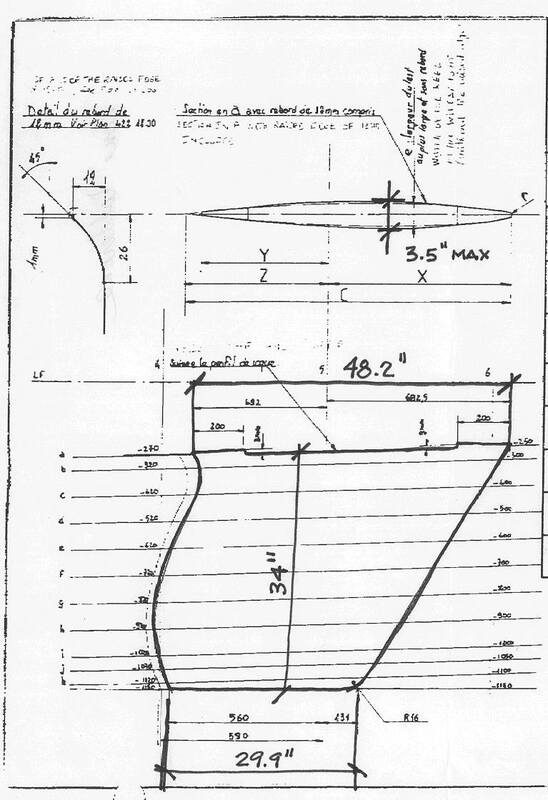 I am hoping to get the same document for the WING KEEL if still available. Judging by below, the fin seems to be markedly thinner than the wing although this is still conjecture. The wing portion is attached to a cutout in the bottom forward section.